Clipping The World's Longest Fingernails Straight From India! Clipping The World’s Longest Fingernails Straight From India! 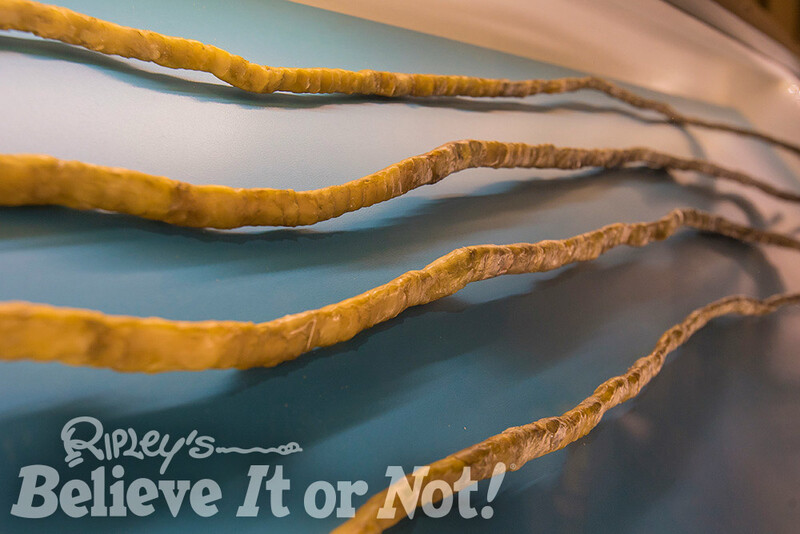 On display, his cut fingernails span a length of over 31 feet! After 66 years, it was time for a manicure. 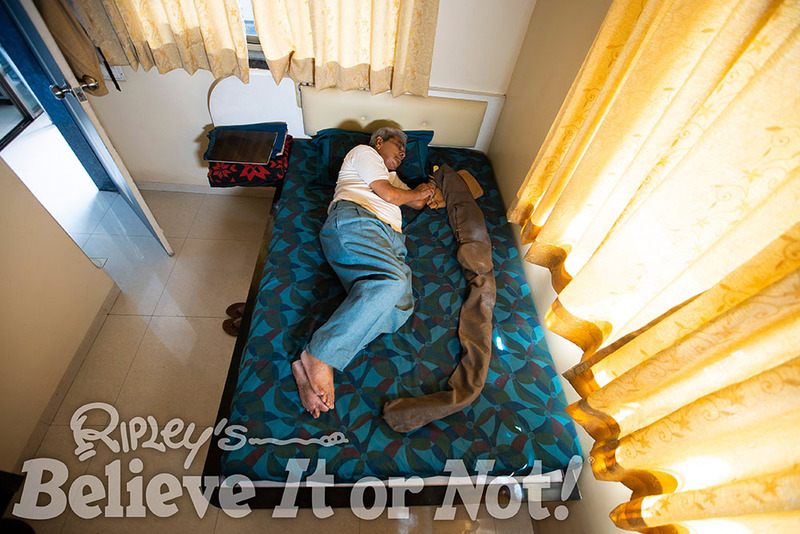 But for Mr. Shridhar Chillal of Pune, India, clippers weren’t going to cut it. 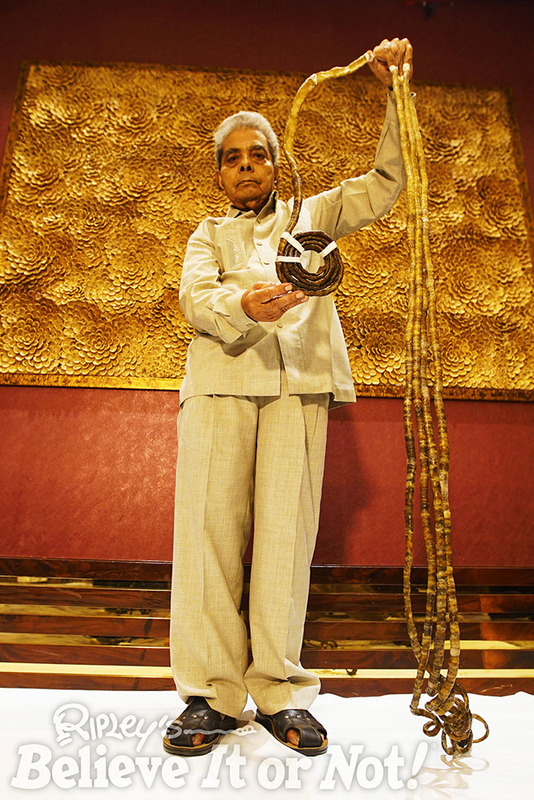 With the longest fingernails in the world—over 350 inches—Chillal hadn’t cut his nails since 1952! Embarking on his journey at the age of 14, Chillal decided to grow his nails when he was scolded by his school teacher for accidentally breaking the teacher’s long nail—a sign of status in India. Historically, it is considered a sign of wealth for a man to have at least one long nail in Chillal’s home country. 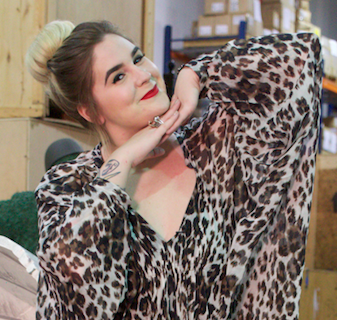 It shows that the clawed does not have to do manual labor, particularly if it is kept clean and in good condition. Believe it or not, during the Qing dynasty, even women of the imperial Chinese court kept long nails to signify the same, going as far as to wear elaborate jeweled fingernail guards. The teacher said that Chillal would never understand the importance of what he had done because Chillal had never committed to anything. “I took it as a challenge,” said Chillal, and there was no looking back. Chillal’s unusual choice didn’t stop him from leading a normal and happy life. He married, has two children, three grandchildren, and enjoyed a successful career as a Government Press Photographer. However, as he aged, his long nails proved more challenging to maintain an ordinary lifestyle. He found it difficult to sleep, and even a gust of wind was cause for alarm. Chillal chose to only grow the nails on his left hand. Due to years of growing his nails and the weight of the nails, his hand is permanently handicapped. He cannot open his hand from a closed position or flex his fingers. After decades of dedication, enough was enough. 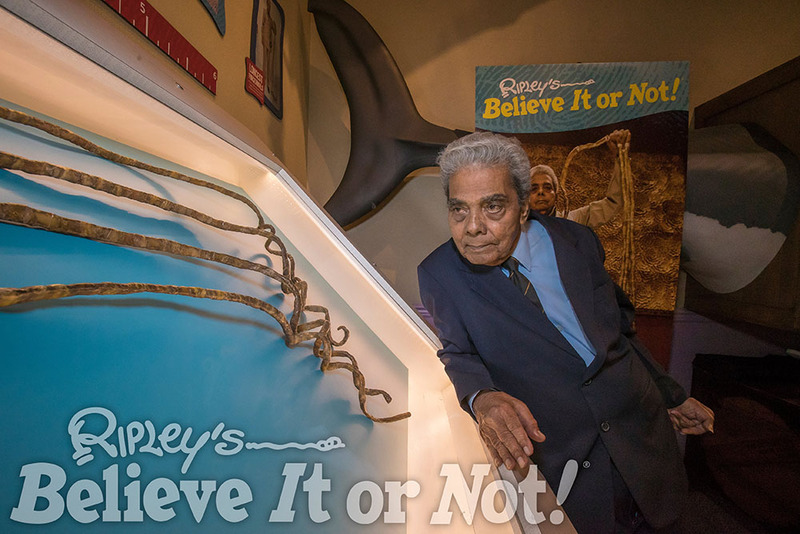 Ripley’s flew Chillal from India to the United States to cut his nails and forever memorialize them in Ripley’s Believe It or Not! Times Square. 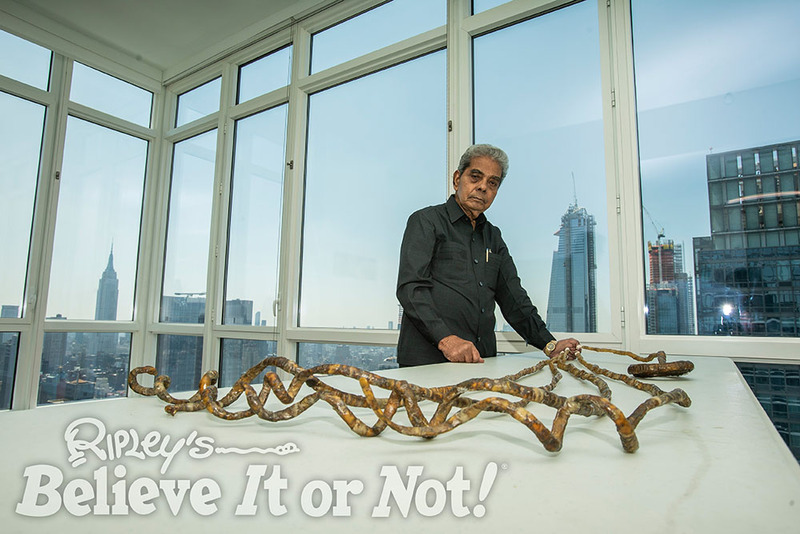 On display, believe it or not, his cut fingernails, laid flat, span a length of over 31 feet—the height of a three-story building! Previous post Why Is Chelsea Football Club Fixated On Celery? Teachers beware of what you say to your students!! You never know how it may affect them!!! Must have been difficult to pick his nose; among other necessary personal chores. No one will ever dare to beat his record.